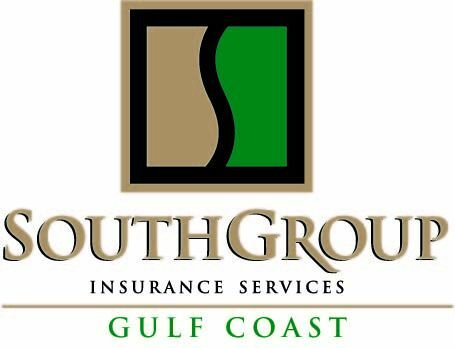 SouthGroup Gulf Coast - Your Trusted Choice: Got Insurance? What will you need during your 20's? Got Insurance? What will you need during your 20's? Life speeds by... you have fun and work hard in college, get a degree, and you open your eyes and find yourself out on your own. You must make your own decisions and embrace life. You have a new job and are finalizing major purchases. Do you need insurance for your protection? Maybe yes, and maybe no --- here are some things you need to know to make an informed decision, courtesy of www.InsureUonline.org. Buying a New Car? You will definitely need auto insurance, but the rate varies based on the make and model of vehicle. Before you make your final decision, check with your Trusted Choice agent to find out which of your favorite models is the least expensive to insure. Also ask about discounts and credits you can apply to your policy for good grades, safe driving record, and more. Getting a New Apartment? Renters insurance is highly recommended and is very inexpensive. Liability coverage will protect you from property damage or injuries if something bad happens on your property. Contents coverage protects your furniture and electronics in the event of a fire or theft. Check with your Trusted Choice Agent for options. Hunting For A New Job? At every age, health insurance is highly recommended. The cost is less when you are young, and will protect you in the event of an unfortunate accident. Ask your employer what is offered, and take advantage of wellness programs. If your employer does not provide the coverage, discuss with your Trusted Insurance Advisor. Walking Down the Aisle? Many things change when you combine households. Combining auto policies may even save you money. You will want to be sure that your new beautiful ring is covered too! We are your LOCAL Trusted Choice Advisors, SouthGroup-Gulf Coast http://www.southgroupgulfcoast.com , SALES AND SERVICE AGENTS: Angelyn Treutel Zeringue, Tammy Garfield, Tammy Hogue, Brittany Jones, Denise Russell, Melissa Moran, Alex Treutel, Anne Gillam, Ashlie Moody, Mark Strickland, Johnny Walton and Whitney Zimmerman at SouthGroup Gulf Coast. You can reach us by snail-mail or in person: 412 Hwy 90, Suite 6, Bay St Louis MS 39520, email: info@southgroupgulfcoast.com, phone: 228-466-4498 fax:888-415-8922, FaceBook www.facebook.com/southgroup.gulfcoast, or Twitter www.twitter.com/atreutel ! We have Gulf Coast locations to serve you - 2505 Pass Road - Biloxi, 5400 Indian Hill-Diamondhead, and 412 Hwy 90 Suite 6-Bay Saint Louis, MS. We write coverage in 40 different states and can assist you with Mississippi insurance, Louisiana insurance, and Alabama insurance and many other states.